In celebration of 100 years of Bauhaus, Germany’s top-one institution for design, the German Design Council, has published a special and very unique compendium of which ritterwerk is also part. Having followed the Bauhaus-theories from the very beginning while engineering and producing the ritter household appliances, the traditional German company feels honoured being rewarded this exceptional award, since only the most important design-oriented German brands are presented in the book. Our food slicer serano5 got rated “VERY GOOD” by the test magazine Haus & Garten Test (06/2018 edition). 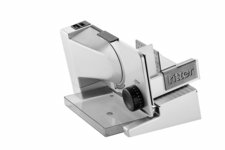 The incline of the full metal food slicer’s holding plate allows perfect slicing even of very fine slices – it guarantees best slicing results and was awarded an overall score of 1.4.
ritter serano9 food slicer was able to win over the jury and was the clear test winner with 93.7%. The conclusion of the ETM test magazine: "The food slicer serano9 from ritter is not only excellently processed, but also proves to be completely stable and stable in operation." During the trade fair Interior Lifestyle China our coffee machine cafena 5 has been awarded with the Home Style Award 2017 in the category „Supreme Functionality“.This category honours products with outstanding user-friendliness, ergonomics and distinctive functions. Established in 2008, the Home Style Award, co-organized by Shanghai Municipal Commerce Center and Messe Frankfurt (Shanghai) Co. Ltd., aims to honor excellence in the global housewares and lifestyle retail industries, and connect them with the excitement of the growing local market. 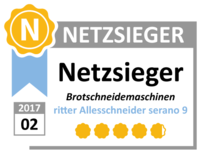 Our semi-professional household food slicer serano9 is rated best on the German consumer platform www.netzsieger.de. 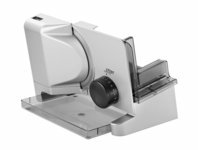 Ten food slicers have been compared. With an overall rating of 4.72 out of a maximum of 5.00 our semi-professional slicing machine convinces and thus occupies the first place. The conclusion of the editorial: "The multislicer serano9 from Ritter reveals its great strength already in its name: With its special knife it not only cuts the well-known Spanish ham into wafer-thin slices. Being in use it is stable and does not slip. " Our coffee machine cafena5 has been awarded the Blue Angel seal. This makes us the only household appliances manufacturer in the world whose coffee machines are currently allowed to bear the label since they are particularly excellent energy-efficient, climate-friendly products. The environmental label was created in 1978 on the initiative of the German Federal Minister of the Interior and approved by the Ministers of the Environment for the German federal states. The toaster volcano5, volcano3 and the built-in toaster ET 10 have been awarded the Blue Angel seal. 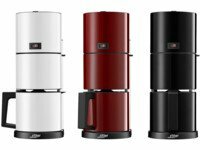 This makes ritterwerk the only household appliances manufacturer in the world whose toaster are currently allowed to bear the label since they are particularly excellent energy-efficient, climate-friendly products. The environmental label was created in 1978 on the initiative of the German Federal Minister of the Interior and approved by the Ministers of the Environment for the German federal states. The fortis1 was the clear test winner in the Haus & Garten electrical food slicer test (issue 5/2015). 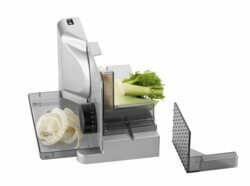 With the best result by a long way (1.4, very good), the food slicer prevailed due to its excellent cutting results, ease of use and finishing. With its outstanding design the stylish full metal multislicer sono5 has won the Red Dot Award: Product Design 2015. There were totally 4.928 entries from 56 countries this year. “Red Dot” is awarded by an international team of experts and is a seal of quality recognized worldwide for outstanding design. The assessment criteria of the jury are amongst others functionality, durability, degree of innovation and ecological compatibility. With its superior design the foldable full metal multislicer icaro7 has won the iF DESIGN AWARD 2015. For over 60 years, the iF DESIGN AWARD is an internationally established symbol identifying outstanding achievements in design. The iF logo is an internationally established symbol identifying outstanding achievements in design. The fontana5 kettle has been awarded the Blue Angel seal. The environmental label was created in 1978 on the initiative of the German Federal Minister of the Interior and approved by the Ministers of the Environment for the German federal states. fontana5 has won the renowned red dot product design award 2013. This award is a seal of quality recognized worldwide for outstanding design. The glass toaster volcano5 was upgrated by being nominated for the German Design Award 2012. This is the highest official design award in Germany. With its superior design and its high product quality, volcano5 has won the iF product design award 2011.
serano7 has been elected test winner in the 6.2011 edition of Haus & Garten Test by reaching total 1.6 points (‚good‘). The far-best slicing result and the above-average finish quality did help to achieve this outstanding overall result. 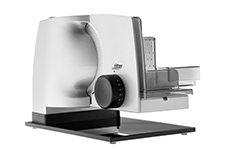 In 2010, the multislicer contura3 was selected test winner by the consumer magazine ETM Testmagazin. contura3 has been nominated for the official German design award in 2009 and has received the ‘reddot design award’ in 2008.